Canadian sports have been nailed down to one season and one sport and has been this way for years. The Canadians have never been considered a summer sport nation and have seen hockey as the true Canadian sport. This has been the case for decades with Canadians taking ownership of hockey and winter sports as their own and using it as a sense of pride. Yet there is still a lot of evolution to go in Canadian sports as relative to many other countries it is still young. Canadians are still in love with winter sports and with hockey but something would shift in 2013 as Canada became a different sports country. The entire shift would start in 2010 when Vancouver hosted the Winter Olympics and the country came together. With the performance in 2010 Canadians realized that Canada can be a powerhouse in sports. Despite it being the winter Olympics Canadians had never won more gold medals than in 2010 and it started a movement in Canada. 2013 would see the payoff for this accomplishment in Vancouver as sports in Canada have never been stronger. 2013 would see Canadians step off of the ice and on to the basketball court, into the octagon, and onto the field. Canadians players would emerge this year as superstars and have brought Canada into the conversation that the country has never been in. As the year winds down Canadians are at a unique spot as the year would show the beginning of a country developing. Now there is only one thing left to wonder on the eve of a sports year that only comes around every four years. With the World Cup and more importantly for Canada the Winter Olympics approach the Canadians are wondering what is in store for 2014. With the base started in 2013 there is plenty of potential for the coming year and Canadian sports fans should be excited for the upcoming year. 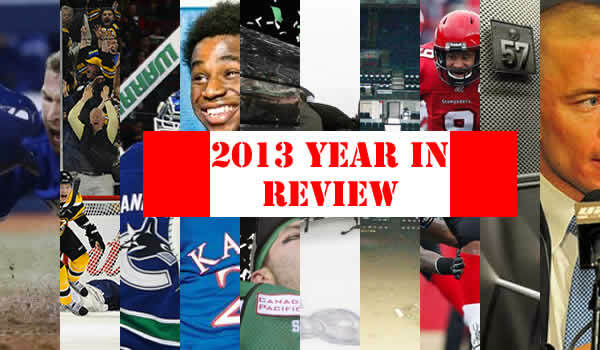 Before everyone looks to 2014 though fans must take some time to look back at the year that was and the year’s top stories from a Canadian perspective. They may not be the stories that everyone looks in the world but these are a stories that have all been every important for the country. These are the stories that have made Canadians cheer and boo throughout the year. Whether you like the people involved or hate the people involved there is no doubt that these stories got all Canadian sports fans taking in a great year for Canadian sports. The UFC continues to grow every year and is still one of the fast growing sports in the world with a big part of that coming thanks to a Canadian legend. 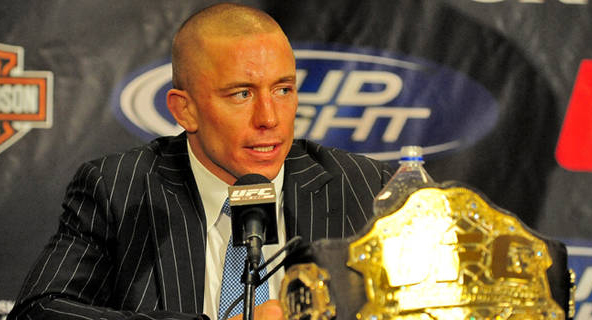 Georges St. Pierre was one of the first big stars of the UFC and in 2013 remained one of the most dominant champions in UFC history. Starting in 20134 St. Pierre held the Welterweight championship for a total of 5 years straight. He was a fighter that nobody seemed to be able to beat and was a hero in Canadian sports. He is the most visible Canadian fighter and for an entire generation was the example to follow. He was the Canadian hope for the younger fighters coming up in this relatively new sport and was a shining example of what to do outside of the octagon. This year was not the best for St. Pierre though as he would defend his belt twice with the last time bringing up more questions than answers. He last fight against Johnny Hendricks was so close that many believed he had lost his belt but when the decision came down it was St. Pierre that was crowned the champion. The fight made many believe that an instant rematch needed to happen while St. Pierre brought up more questions in his post fight interview when he said he may need to take a step away from fighting. The official announcement was made a month later when St. Pierre would state that he needed to take some time off from the UFC and announced his semi-retirement. The writing was on the wall for years as St. Pierre had written a book and began his own workout system showing that he had thought of life beyond fighting. Still the possibility of St. Pierre not returning and leaving on a questionable win is a blow to not only Canadian sports fans but to the UFC as a whole. The year was a rough one for the residents of Alberta as they would see massive floods this summer that would affect thousands of people. The floods were started after Alberta received days of hard rain. This rain would add to the melting snow of the Spring and would create high levels in the Bow, Elbow, Highwood, Red Deer, Sheep, Little Bow, and South Saskatchewan rivers. The high levels of water would eventually overflow and left much of Alberta under water. In total over 100,000 people were affected by the flood as it would cripple much of the province. 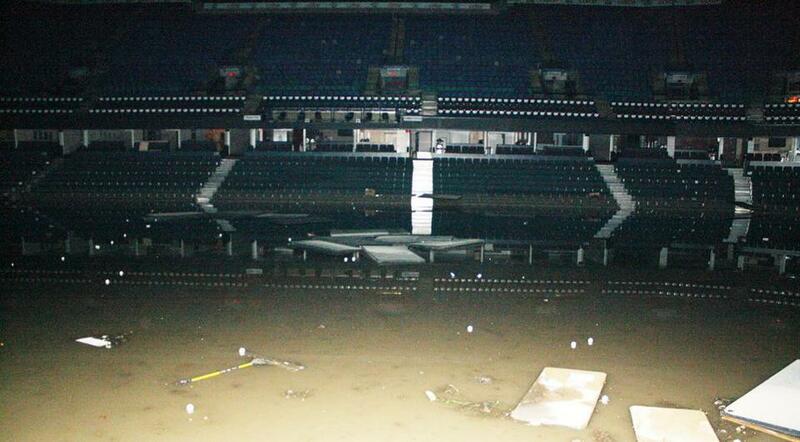 It is not much of a sports story until the flood began to affect even Calgary when the Calgary Stamepede grounds and the Saddledome were found under water. The pictures began to come in that one of the largest outdoor festivals and rodeos was at risk along with the main stadium in the city. Almost as quickly as the water came in it went away and it left plenty of damage behind it. Albertans would come together though as they would clean up the Stampede grounds and were able to launched the annual festival on time. The Saddledome would also be ready to go for the start of the hockey season as the city would recover along with the province. The floods would affect many but much like many things that have happened this year sports would bring a sense of normalcy to the cities affected. The Calgary Stampeders would provide a distraction from the tragedy while the promise of a Calgary Flames season would bring hope to those who had little. Sports played a big role in the recovery and continue to play a big role in the recovery from one of the worst disasters in Canadian history. It was a difficult year for many Calgarians but sports were there to provide an escape in what would show the power of sports once again. The Toronto Blue Jays would make a big splash at the end of 2012 as they would make the biggest moves in the MLB. As another disappointing season would finish the Blue Jays were looking to make an impact in 2013. They would open the pocket books and would begin signing a number of big name players. In a blockbuster trade they would acquire Mark Buehrle, Josh Johnson, and Jose Reyes while also trading for Cy Young Award winner RA Dickey. They wouldn’t stop their as they would add Melky Cabrera to the roster as well. Going into the 2013 season the additions would make the Blue Jays an overwhelming favorite to win the division and return to the playoffs for the first time in 20 years. The season started with the city buzzing about the new power of the AL East as the Blue Jays seemed to be on their way to the best season in two decades. Then the season would begin and all of the anticipation would begin to fall off. The first month of the season would see the Jays finish with a 10-17 record in what some people saw as a sign but some saw as growing pains. 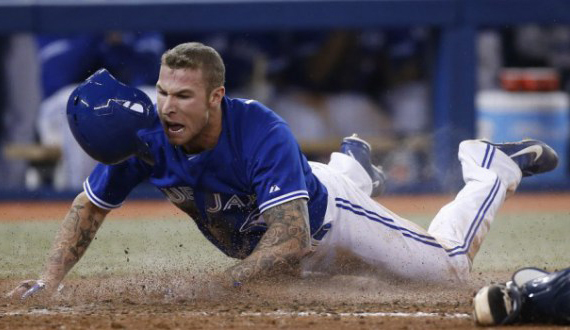 There was still hope for the Jays to make their comeback an in June the hope grew when they had a 17-9 record on the month and showed some promise that many saw at the start of the year. That was as close to the top as they would get though as bad months would pile up and the Jays would continue to fall. They would finish the season at the bottom of the AL East and the season and all of the promise for a great season would be gone. The Jays gave a lot of hope to a lot of people and gained a lot more fans but all of that was wiped away with a terrible end to the season. The NFL would settle a massive lawsuit that would change the face of the sport and late in 2013 former NHL players would do the same. Much like the NFL the NHL has been struggling with the issue of concussions in the sport. For the last few years player safety has become one of the biggest issues and one of the most debated. These past few years have seen more and more former and current players die due to issues that can be linked to concussions. As the understanding of concussions grows there is a concern for players who suffer concussions and what life they will live after the game. It has caused the NHL to make massive rule changes in an attempt to take the illegal hits out of the game. There has even been a movement to eliminate fighting from the game as a way to reduce the amount of head injuries in the game. 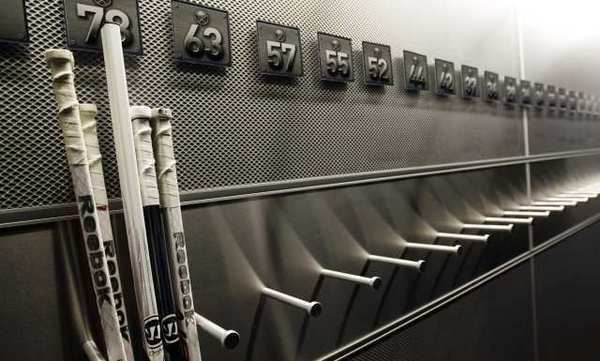 As the league continues to make changes to the game there is more concern over what the NHL is doing for retired players where the damage has already been done. The former players lead this concern and for many of them there is a belief that the NHL has not done enough to help them. So, over 200 players would launch a lawsuit against the NHL for compensation of injuries due to concussions. The lawsuit against the NHL would be very similar to the NFL lawsuit and would claim that the NHL had known the dangers of head injuries for a long time and had done nothing to warn the players. The lawsuit has yet to be settled but will likely not go to court as a settlement is likely from the NHL. Still the NHL lawsuit is different from the NFL version with some players already dropping out and the level of money available nowhere close as the lawsuit will remain a large story for 2014. It is becoming a constant in the top Canadian stories of the year as Jon Cornish is making his appearance a habit. Cornish would go into the 2013 CFL season as the best Canadian in the game winning the Most Outstanding Canadian award in 2012. He would also set records in earning the most yards by a Canadian in the history of the CFL. So there was a lot to live up to in 2013 as Cornish would be the player all Calgary fans were looking to lead the team to the Grey Cup again. Cornish would go above all of the expectations of the season as he would once again have a season for the ages. In a year that marked the return of old school football for the CFL Cornish would lead the way in a battle with Kory Sheets. 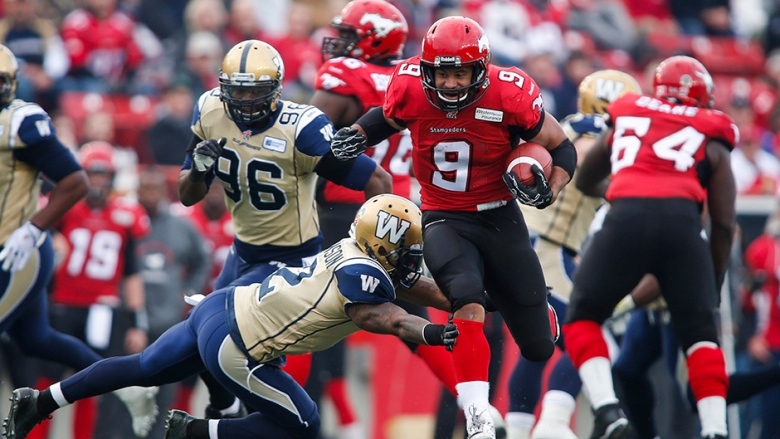 Cornish would be the best player on the Stampeders for another year and would once again put together career numbers. Running for 1,813 yards on the season he would break his own record for the most rushing yards by a Canadian. He would even make a good push towards the CFL rushing record of 2,065 yards in a season. The season would put him at the 4th spot in the most rushing yards all time with names like Mike Pringle and Willie Burden. The performance would be one of the best ever by any running back and he would be paid back in a big way. The season would end without the Stamps entering the Grey Cup leaving Jon Cornish to travel to Regina for the Awards Ceremony for a chance to be named the MOP of the CFL. He would take the CFL MOP and the Canadian MOP awards becoming the first Canadian player since Tony Gabriel won the award in 1978. It would be another dominant year for the Canadian running back and would mark a Canadian taking back the top of the league. It was one of the craziest endings in NHL history as two teams would see heart breakers to end their seasons. The first one would come for a rabid fanbase that was enjoying their first venture into the playoffs in 7 years. The Toronto Maple Leafs would make the playoffs for the first time in a long time and they would take that excitement into the first round against the Boston Bruins. The series would go down to the wire too as the Leafs would take the Bruins to the 7th game and looked to be on their way to the next round of the playoffs. The Leafs would go ahead 4-1 heading into the third period and it seemed like they had locked up the series win. Then the Bruins mounted one of the greatest comebacks nine NHL history scoring three goals in just under 10 minutes to tie the game. They would move on to score the winning goal in overtime crushing the Leafs and adding another chapter to the stories history of the Bruins. That was not the only big surprise of the playoffs though as the Bruins would find themselves on the other end of a big comeback. In game 7 of the Stanley Cup finals the Bruins were ahead of the Chicago Blackhawks as time ticked down in the third period. Then Bryan Bickell would tie the game with just over 1 minute left in the game leaving most to think that game was headed to overtime. Then with just under a minute left David Bolland would score for Chicago giving the Hawks the win and the Stanley Cup in a thrilling last-minute finish. 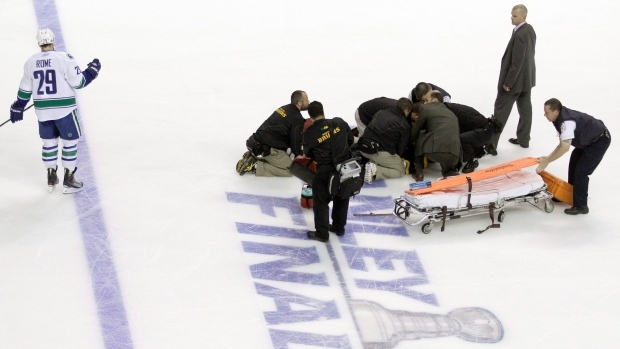 It was a fitting end to an amazing playoffs for the NHL. It captured the hearts and minds of many and was exactly what the NHL was hoping for and continues to hope for as the NHL showed just how unpredictable the playoffs can be in 2013. 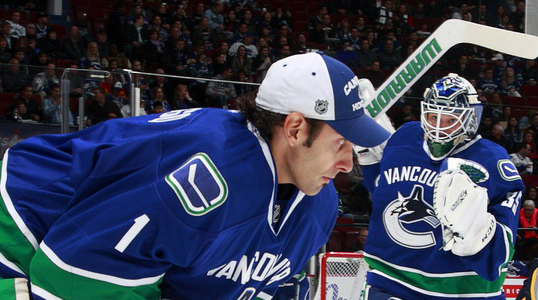 In Vancouver the Canucks would see a debate rage for a few years as the crease was getting crowded. The Canucks would have two great goaltenders that had shown that they had the ability to be starters in the NHL but one would always be stuck on the bench. Although it is great to have options in net there is something to be said for the mental aspect of a goalie who never knows if they will be starting the next night. The problem with both goalies was that they both provided something that every team would want. Roberto Luongo would provide a veteran presence and is considered among the top goalies in the league. What came with him though as one of the worst contracts in NHL history as Luongo was signed to a 12-year $64 million contract that had him locked up until the 2021-22 season. It was a contract that not a lot of people wanted to touch and would make Luongo extremely hard to trade. Meanwhile Cory Schneider was the future as a younger and had the promise of being a great goalie. The problem with Schneider was the fact that he had never been the true #1 goalie for a team and had yet to prove that he could carry a team for a full season. The debate about which goalie should be traded continued on throughout the 2012-13 season with many stating that Luongo had been shopped around but not many people wanted him due to his lengthy contract. In 2013 the answer would be given when the Canucks would trade Cory Schneider to the New Jersey Devils to be the heir apparent to Martin Broduer. It would end the longtime debate as the Canucks would choose Roberto Luongo either because they wanted him or because they could not get rid of him but either way it was the end to one of the biggest stories of the year in Canada. 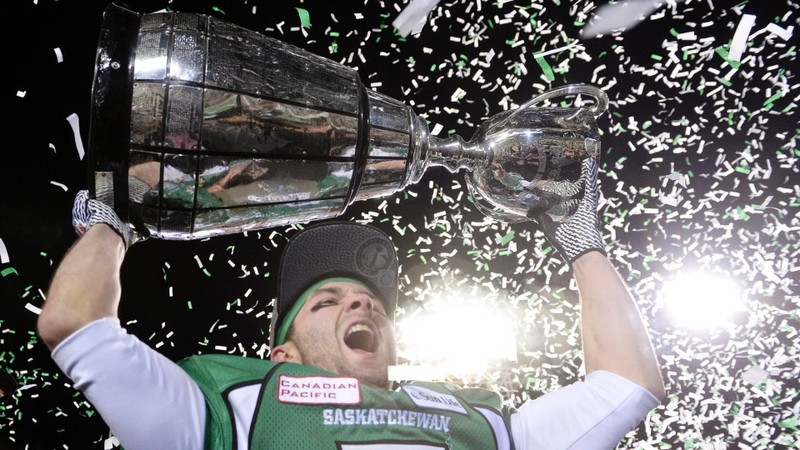 The Saskatchewan Roughriders would enter 2013 with one goal in mind and it was a goal that would follow a trend. For the last two years the CFL has seen a champion that has played at home to win the Grey Cup. In 2011 the B.C. Lions would make it to B.C. Place to win the 99th Grey Cup while in 2012 the Toronto Argonauts would win the 100th Grey Cup in Toronto. In 2013 the 101st Grey Cup would be hosted by the Regina in front of some of the most loyal CFL fans in the league and all were hoping to see their team in the final game of the season. The Risers would do everything they could to try to make this wish come true as they would be busy in the offseason. Signing 100th Grey Cup Canadian MOP Ricky Foley and trading for legendary receiver Geroy Simon was the tip of the iceberg. They would also add Dwight Anderson, Weldon Brown, Tristan Black, and John Chick in an attempt to shore up their team in an attempt to make the Grey Cup. The season would start great for them as they would win 8 of their first nine games but then would lose four in a row. They would overcome the small losing streak and would end up in second place in the Western division. They would take their strong season into the playoffs as they would make their way to the Grey Cup and earn a home game in the 101st Grey Cup. In the final game the Riders would continue the trend as they would demolish the Hamilton Tiger-Cats to win the Grey Cup becoming the third team to do so at home in the last three years. The question is now if the B.C. Lions can continue a trend that they started when the 102nd Grey Cup goes to Vancouver once again. In 1891 Ontario native James Naismith would invent Basketball in Springfield, Massachusetts. Since that time there has rarely been much influence from Canadians with few Canadian stars. In the history of the NBA there has only truly been one Canadian superstar as Steve Nash was the first true star to break through. The two-time MVP was an influence to countless kids in Canada and in 2013 that influence would show. This year would mark the beginning of what looks to be the start to an influential period in Canadian basketball. It would all start with March Madness and the large amount of Canadian born players as the stars of their teams. From Kelly Olynyk and Kevin Pangos at Gonzaga to Anthony Bennett at UNLV and Nick Stauskas at Michigan there were a number of influential players during the tournament. It was the first sign that basketball in Canada had reached a new level and they the country was ready to have their impact on the sport that their own countryman had created. The influence in March Madness was just the start to the influence for Canadians in basketball as Anthony Bennett would become the first Canadian ever selected first overall in the NBA draft. Bennett would make history for Canadian basketball as the big body Brampton native would surprise everyone when he was picked first by the Cleveland Cavaliers and would set the stage for what is to come. 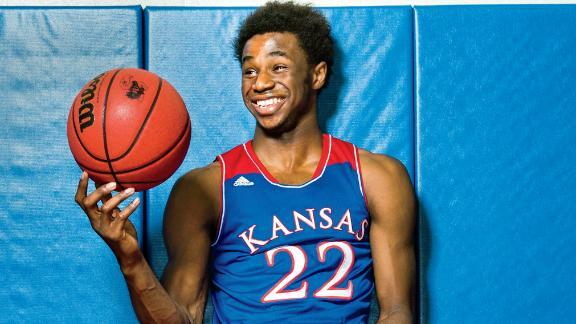 The future is bright for Canadian basketball with Andrew Wiggins taking most of the headlines in 2013 when the superstar who is considered the best prospect since Lebron James committed to Kansas. His college career, that will likely only last one season, will be watched closely as he has become the most exciting prospect out of Canada ever as Canadian basketball would reach a new level in 2013 and is looking to reach a new level in 2014. Hockey rules in Canada and so it is no surprise that a hockey story is one of the biggest of the year. It was also one of the biggest of 2012 as the NHL Lockout would be the thing that everyone in Canada was taking about for the better part of four months. The Lockout was one that would anger plenty of fans as the league would claim that they needed to recoup money after the last lockout took so much away from them. Yet only weeks before the lockout was announced the NHL had announced a $33 million profit, the most of all time. After months without hockey in 2012 the beginning of 2013 would be the news that hockey fans had been waiting for. The NHL and NHLPA would reach a deal on January 6th to end the lockout and save the season. It was a deal that almost didn’t happen and almost lost the season. It was only a few days away from the deadline to find a deal without losing the entire season. They would come up with the deal and would save the season, although it was cut almost in half. It was great news for hockey fans and for Canada as the lockout was a lot more than just Canada losing its favorite game. It did some very big damage to the Canadian economy with teams and companies having to fire many of their employees with no hockey to provide work. Sports bars went under, stadium workers had to find new jobs, and the Canadian economy overall would take a big shot. It would change at the beginning of the year though as hockey was back and all seemed to be right with the sports world once again. It would start the season off with great news for hockey fans around Canada as their favorite sport was back and Canada’s game was ready to go once again.